Book all your Accommodation in Namibia here. Deal directly with establishments and book your accommodation in Sossusvlei or your accommodation in Etosha with ease on Book Namibia. With an extensive list of Namibian Accommodation, Book Namibia is the premier platform for all your Namibia holiday accommodation needs. Whether visiting Swakopmund or needing ideas for activities in Windhoek. From lodges, guest houses, tented camps in Namibia – your accommodation needs are sure to be met. Accommodation in Windhoek and the central region is diverse and caters for all types of visitors looking for places to stay in Windhoek; whether you are just on a business trip to Windhoek or on a safari holiday to Namibia. 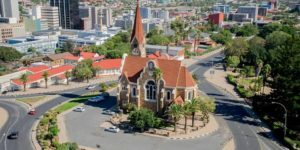 In the City of Windhoek travelers can choose from hotels, guest houses, bed & breakfasts and pensions offering either luxury, family-friendly or affordable accommodation. Many tourists prefer accommodation just outside of Windhoek which allows the visitor to experience the African bush but be in close proximity for day trips into Windhoek. Accommodation near the international airport is also popular amongst travelers to Windhoek. These consist mainly of lodges within close proximity to the international airport which is convenient for those early morning flights. The Namibian Coastline is a popular destination for local and international travelers. 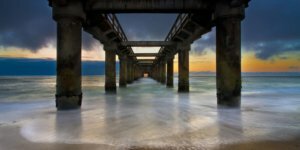 Swakopmund is considered Namibia's premier coastal holiday town and is ideally placed for day tours and trips to the Namib Desert, Moon Landscape and many other attractions. Trips to Sandwich Harbour and marine boat cruises mostly start from the harbour town of Walvis Bay. The Northern region of Namibia is a vast area which includes Etosha, Waterberg, Outjo, Otjiwarongo, Otavi & Tsumeb. All types of accommodation are available for travelers on their Namibian holiday. A good selection of lodges, tented camps, guest houses and camping sites can be booked for your stay in Northern Namibia. 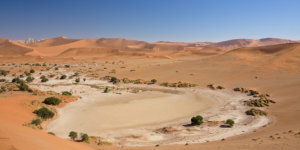 Book your lodge accommodation at Sesriem/Sossusvlei and explore the oldest desert in the world. If you prefer a guest farm or require family friendly accommodation near Sesriem/Sossusvlei then click through and make your booking. For the more adventurous traveler there are many good camping sites available. Stay at a lodge on the edge of the second biggest canyon in the world - the Fish River Canyon. The Naukluft Mountains are ideal for hiking and walking but still close enough to Sossusvlei for day trips. Book your accommodation or campsite at one of the nearby lodges or guest farms. If you are planning on visiting Luderitz you have a good variety of hotel and guest house accommodation. 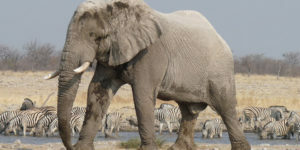 The Kalahari Desert offers some excellent luxury tented camps and there are also comfortable game lodge accommodation. Southern Namibia is an exciting part of your self-drive tour and offers accommodation for all types of travelers. Accommodation in Damaraland and the Kunene Region (Kaokoland) consists of hotels, tented lodges, luxury lodges, and camping sites. Experience the famous desert lions or see the desert elephants which is one of only two desert elephant populations in the world. Your lodge will take you to visit the nomadic Himba tribe who have largely stuck to their traditional culture. 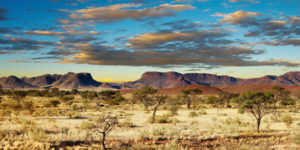 Visit Twyfelfontein which is a World Heritage Site. Gobabis and the surrounding area offer well established accommodation with convenient access to the Trans Kalahari Highway which links Namibia to South Africa & Botswana. 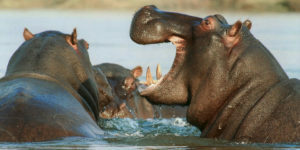 Travelers entering Namibia via Buitepos can stay at one of the nearby lodges. This area is traditionally an important cattle farming area. Driftwood Guesthouse is situated in a residential area close to the heart of Swakopmund. The guesthouse is 200 meters from a beautiful quiet beach. An idyllic garden walking route next to the ocean leads towards the city centre and Mole, making this a must-do walking activity. Located in the exclusive Etosha Heights Private Reserve on the southwest border of Etosha National Park, the lodge has been going strong for over 10 years and we’re delighted to have taken the reins ready for the 2019 season.